1.02 ACRE UNRESTRICTED WOODED LOT IN EAGLE MTN! THAT'S CORRECT, UNRESTRICTED! LOTS 1, 2, 3, 4, & 5 ARE EXEMPT FROM RESTRICTIONS & ALL OTHER LOTS ARE RESTRICTED! THIS PROPERTY OFFERS 3 BR S/D SEPTIC APPROVAL WITH SEVERAL NICE BUILDING SITES! UTILITY WATER & ELECTRICITY ALSO BORDERS THE LOT! NICE SEASONAL VIEWS FROM PROPERTY, COULD USE AS RECREATIONAL OR PICK A SITE FOR RV CAMPER, MOBILE HOME OR BUILD A HOME! 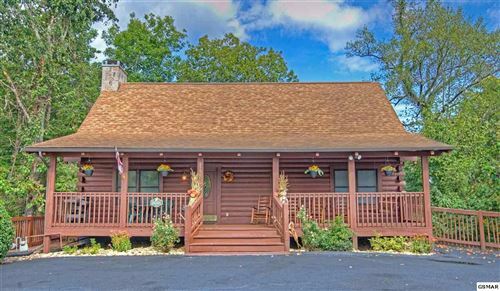 LOCATED AT THE BASE OF THE CHEROKEE NATIONAL FOREST & CLOSE PROXIMITY TO THE EASTERN ENTRANCE OF THE GREAT SMOKY MOUNTAIN NATIONAL PARK & APPALACHIAN TRAIL! AREA OFFERS WHITEWATER RAFTING, FISHING, HUNTING & HIKING! VERY CONVENIENT TO I-40, GATLINBURG, COSBY, HARTFORD, NEWPORT, PIGEON FORGE, KNOXVILLE, TRI-CITIES, MAGGIE VALLEY, CHEROKEE & ASHEVILLE NC! NO STATE INCOME TAX, NO ZONING, NO RESTRICTIONS & LOW ANNUAL TAXES ONLY $126! PRICED FOR GREAT INVESTMENT!